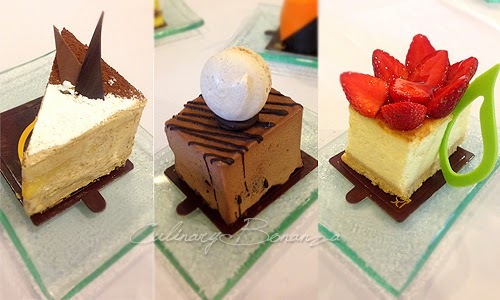 I remember Dapur Cokelat as the 'it' cake and chocolate maker since my high school days, how I longed to try the luscious-looking cakes after watching the review on television. 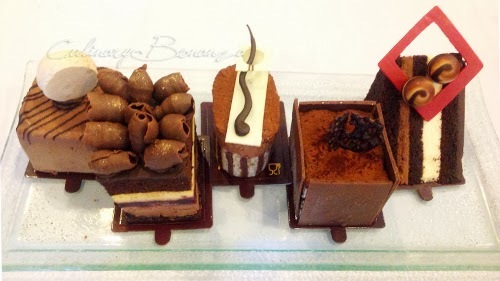 It never came true until years later, when I could try its various personal cakes and chocolates, but also met a person who plays a major role in developing Dapur Cokelat, Adithya Pratama, the present Pastry Chef and Brand Manager at Dapur Cokelat. Adith is the son of the owners of Dapur Cokelat and after completing his education at Le Cordon Bleu in Australia and experience working as a Pastry Cook at Marina Bay Sands, he returned home to aggrandize his parents' legacy. 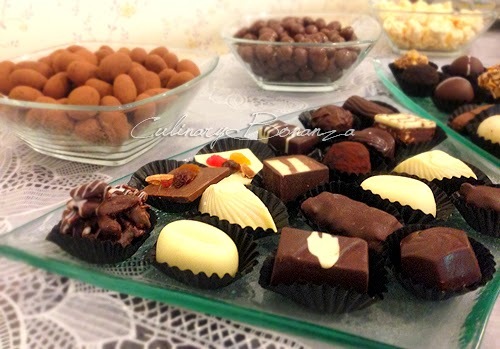 Dapur Cokelat has, for over a decade now, satisfied the Indonesian sweet tooths with affordable, good quality and tasty cakes and other chocolate products. Under Adith's visionary leadership, Dapur Cokelat aims to stay in the game and in doing so, just recently released its new range of Personal Cakes. Adith generously served all flavours of personal cakes he's got under his sleeves, but we could only consume so much and I had serious difficulty in picking which one(s) to try. Oh yes, let the calories shoot out of the roof that noon! Who gives a heck? Lol. (ps: photos in this post are taken with my mobile phone, so I totally regret the poor quality). Of all the sweets and chocolate we ate, my favourite is the Choco de la Creme, which is a mixture of vanilla & chocolate creme brulee with glazy dark chocolate coating. It was soft and light, not overly sweet, my ideal kind of comfort dessert. 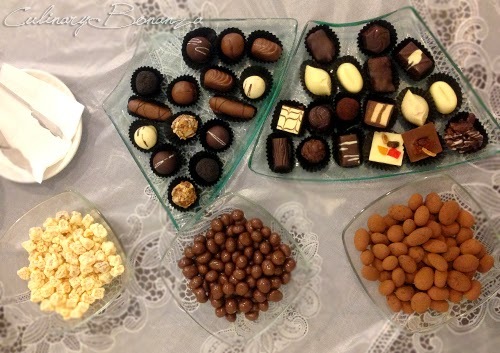 Besides the cakes, there were also Pralines and Chocolate Pebbles or chocolate-coated dragees with various cores such as coffee bean, almond, cashew, apricot, mango, raisins, plum and tamarind. These chocolate pebbles are very 'dangerous' for me, as I might not be able to stop myself from popping these bite-sized treats in my mouth. I must concede that the chocolate drinks from Dapur Cokelat is another trump card. It is delicious and the price won't make you have to skip the next meal. Sound like a good deal? 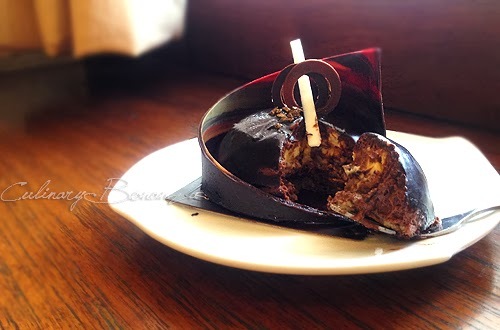 Make haste, plan a trip down to your nearest Dapur Cokelat now! For complete list of outlets, click here.